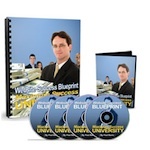 Maximum Success University is now live and offering free courses. Paul Barrs is now offering an undergraduate degree program for free at Maximum Success University. Mr. Barrs wants to provide a great financial foundation for people who wan to get involved online without making you pay a cent. These are some very powerful courses and ones that people can take advantage of for free within the undergraduate section. Mr. Barrs does have some upgrade options to his Graduate programs. But for starters I was interested to see if he could deliver on the undergraduate section. Which I believe he has. For people look at getting involved in online marketing or those of us who have had trouble with online marketing, this free undergraduate course is something that you should look into.